With summer still months away and chilly evenings becoming ever more common in the city, we don’t blame you if rooftop bars aren’t at the top of your to do list. 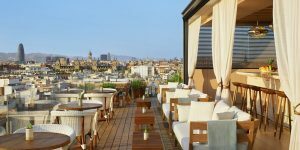 But the winter weather shouldn’t stop you from enjoying some of the best rooftop drinking experiences in Barcelona, and with dozens of great options to choose from, we’ve narrowed down our favourite five that we think are definitely worth your time. Please note: The rooftop becomes exclusively for hotel guests after 9pm. Visit the Grand Hotel Central website. The Majestic Hotel is situated on the most expensive street in Spain and the second most expensive in Europe, Passieg de Gracia. 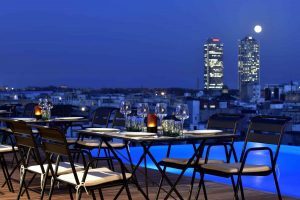 La Dolce Vitae, the hotel’s rooftop terrace, offers striking views of the boulevard after sunset, something which goes hand in hand with a drink from the hotel’s extensive menu. If you’re fortunate enough to grab one of the few tables next to the balcony railings, this experience is something to die for. Click for the Majestic Hotel website. Looking for a quiet place to have a business meeting or somewhere to take a date, look no further than Hotel Almanac! Azimuth Terrace offers a classic and elegant experience for any one and any occasion. They have a lively outdoor section that can seat any group of up to 20 people, and if you find the terrace too cold, there’s also the option to sit in the Azimuth lounge and enjoy the view from the inside. Visit the Hotel Almanac website. 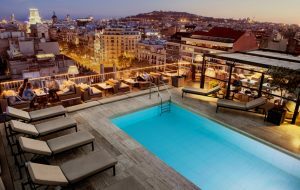 Andante Hotel is Barcelona’s best-kept secret. 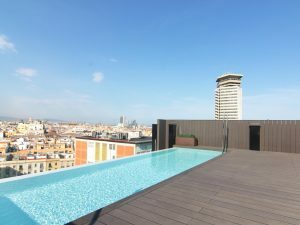 This eco-friendly hotel can be found in the famous El Raval district with a stunning view of Barcelona at its not-so-decked-out rooftop. This is the best place to go when you want to have a good time with some friends, enjoy the skyline of Barcelona, and not burn a hole in your wallet! 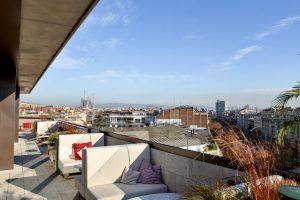 From the terrace, you can see Torres Agbar, La Sagrada Familia, and the Barcelona Cathedral. Now, that’s a view! Go to the Andante Hotel website. Without a shadow of a doubt, EDITION Hotel has the best rooftop terrace in the city, and those that say otherwise, haven’t been here yet. This stylish hotel is Ian Schrager’s- founder of Studio 54– latest work. 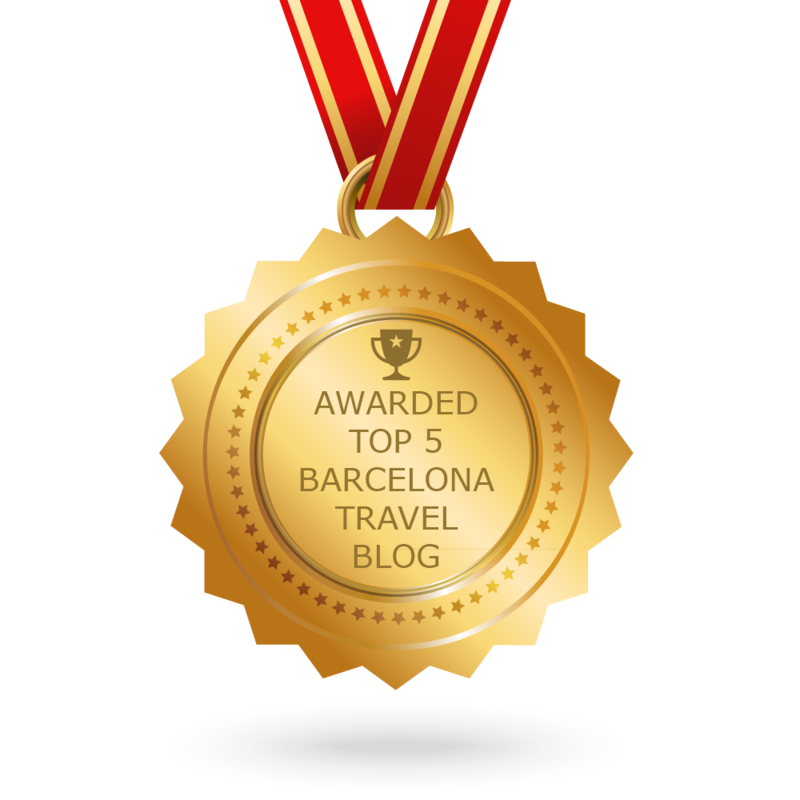 The rooftop offers a majestic view of the city’s skyline in conjunction with Barcelona’s iconic Torre Agbar. Newly opened in 2018 and professionally run by the Marriott, you can expect nothing less than superior services, craft cocktails, and a guaranteed good evening. Click to go to the Edition Hotel website.